Advanced Style: Fashion blog, celebrating stylish and creative older folks. Respect your elders and let these ladies and gents teach you a thing or two about living life to the fullest. Advanced Style offers proof from the wise and silver-haired set that personal style advances with age. Old(er) Lesbians: Celebrating all of us who are here, queer, over 45 and beyond! GLBTI Ageing Australia: Items of interest in relation to gay, lesbian, bisexual, trans and intersex ageing, activism, aged care and related issues in Australia and internationally. OLGA: Older Lesbian, Gay, Bisexual and Trans Association: UK group providing community support and a community voice. Old Lesbians Organizing for Change (OLOC): Committed to empowering old lesbians, a US-based national network of Old Lesbians over age 60 working to make life better for Old Lesbians through support networks and by confronting ageism in our communities and our country. Older Dykes / Ten Forty Matrix: a vigorous loose-limbed organisation of lesbians over forty who relish discussion and debate about the issues we face in work, life, at home, in the arts and politics (Sydney, Australia and international). Debate, stories, reviews, travel information, fiction, poetry, commentary, networks, and events. Lesbians Inc Australia Lesbians Inc is a not-for-profit organisation in Australia that advocates for lesbians. Lesbians Inc provides financial backing to lesbians and lesbian-friendly groups in Australia through its community grants scheme. Viv McGregor Photography: in charge of snapping the Laydees! Documenting the queer scene in Sydney, shooting events, weddings, campaigns, publicity. Older Lesbians and Bisexual Women: A Lesbian Life page dedicated to the interests of lesbians and bisexual women over 50. This is Oz: This Is Oz is an online photo gallery where people can help fight discrimination against Australia’s gay, lesbian, bisexual and transgender (GLBT) community. Part art project, part human rights campaign, This Is Oz is all about making Australia a place where everyone belongs. Creative Womyn Down Under: a Sydney based group which develops and supports opportunities for womyn to participate in creative experiences. blackcat productions: is Phoebe Meredith and Maeve Marsden, a creative duo based in Sydney, NSW, who nurture creative women and queer talent through producing independent cabaret and live music events. 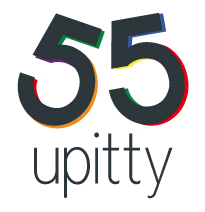 blackcat have been engaged to manage a launch event for 55Upitty at the 2013 Sydney Mardi Gras.